For most divers, an encounter with a whale shark is the ultimate underwater experience. 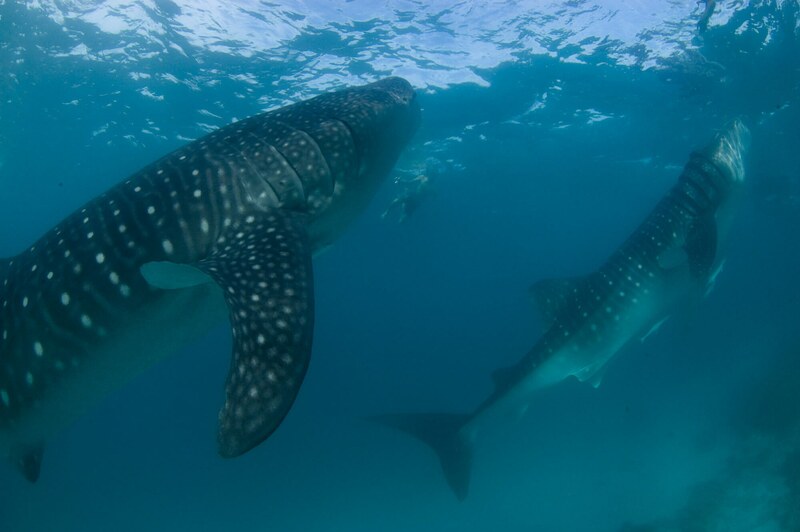 These giants-of-the-sea draw tourists from across the globe to hotspots such as the Maldives, Isla Mujeres in Mexico and Ningaloo in Australia, creating a vast tourism industry that helps support local economies and underlies the fact that whale sharks are more valuable alive, than dead. Learn more about these extraordinary animals and how you can swim with a whale shark in a responsible manner. Whale sharks are the sole member of the Rhincodon genus that first evolved in our oceans around 60 million years ago. 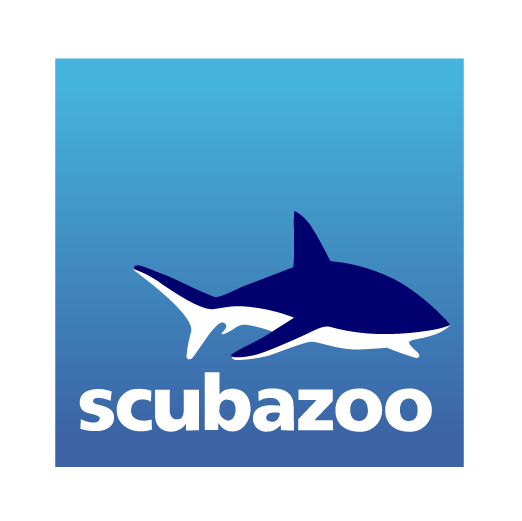 They are members of the carpet shark family that includes nurse sharks, bamboo sharks, wobbegongs, leopard sharks and the carpet sharks themselves. Surprisingly this group includes one of the smallest sharks in the world - the barbelthroated carpet shark - as well as the largest! Whale sharks are animals of extremes - they are the world’s largest living fish species; the largest non-mammalian vertebrate; and they have the largest ear drum of any known species, although scientists have no real idea why, or how important hearing is to whale sharks! The largest known whale shark was caught off Pakistan and measured 12.65m in length and weighed 21.5 tons. However, there have been unconfirmed reports of individuals over 20m in length. A recent study released in 2018 examined the growth of individual whale sharks in the Maldives over a decade, and determined that these magnificent animals are likely to live for up to 120 years and reach a maximum length of over 18m - making whale sharks amongst the longest-living animals in the seas. You might ask how scientists can tell individual whale sharks apart and were able to measure the growth of an individual. Well, much like human fingerprints, every whale shark has a unique pattern of spots on its back, making it possible to ID individuals using photography. When combined with pattern recognition software such as Wildbook, scientists can now upload photos of whale sharks and track the movement of individuals across the oceans - an important part of protecting these extraordinary animals. 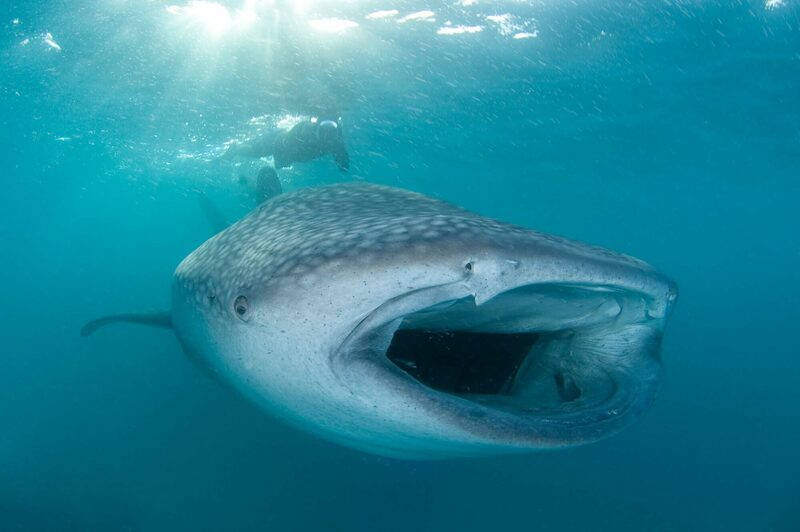 Whale sharks are found throughout the tropics and in warm oceans with water temperatures above 21C. They are a pelagic species, swimming the open ocean in a constant search for food, and although not known as a deep water animal, an individual was tracked diving to a depth of 1800m in West Papua. Most sightings are of individuals but in certain parts of the world, whale sharks gather to feed on seasonal bounties of food - making places such Gladen Spit in Belize, Djibouti, Utila in Honduras, Ningaloo in Australia, Isla Mujeres and Holbox in Mexico, and Maamagili in the Maldives, hotspots for divers in search of the ultimate whale shark encounter. Very little is known about whale shark reproduction; in fact everything we do know about this species’ reproductive biology is based on a single pregnant female caught in Taiwan in 1995. They are thought to reach sexual maturity at around 30 years and give birth to live young, after the embryos develop and hatch inside the body of the female - a process known as ovoviviparity. The female caught in Taiwan had 300 embryos inside her, all at different stages of development. From this, scientists have inferred that females are able to store sperm for a long period of time, slowly fertilising new eggs as they are produced - an extremely useful strategy given how infrequently males and females are likely to encounter one another in the open ocean. Whale sharks are filter feeders that gorge on plankton - passive organisms that are carried along by the currents - and nekton - organisms that are capable of swimming in the water column. Whale sharks also feed on clouds of eggs and sperm during fish spawning events, explaining why such large numbers of these animals gather at places like Gladen Spit in the Belize - a known grouper spawning site. 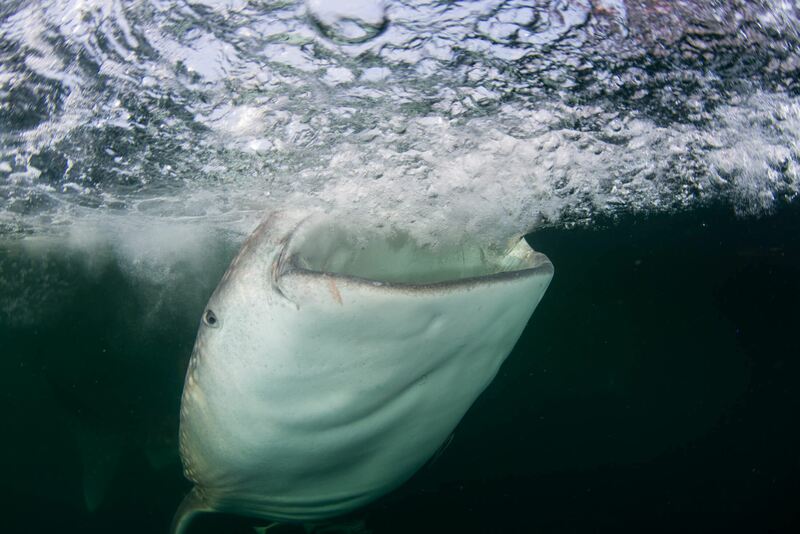 Filter feeding is an unusual strategy for sharks and only two other species use a similar method of hoovering up their food - the basking shark and megamouth shark. Most other sharks are famous for being predators or scavengers and as such, have evolved some serious teeth. The huge mouth of the whale shark is filled with 300-350 rows of teeth like its cousins, but surprisingly these play no role in feeding. Instead, whale sharks gulp huge volumes of water, then strain our the food using filter pads as they force the water back out through the gill slits. Without any accurate estimates of global whale shark populations, it is difficult to determine just how endangered these stunning animals are but it is thought that the global population has declined by 50% or more in the last 75 years. Whale sharks are caught as bycatch in the fishing industry, are targeted for their huge fins, and the increasing amounts of plastic and pollution in our oceans is very likely to have a significant impact on these filter feeders. The slow rate of growth of whale sharks and late sexual maturity limits the number of new sharks born every year and makes the species more vulnerable to any threats. They are also highly migratory and spend a lot of time on the surface, making them even more exposed to fisheries and collisions with vessels. And to make matters worse, because whale sharks move across boundaries and borders, it is much harder to protect them without international collaboration. Whale sharks are more valuable alive than dead in a fishing net. It is thought that over 70,000 tourists visit South Ari Atoll in the Maldives every year to see whale sharks, making them incredibly valuable to the local economy. It is of no surprise that the Maldives has recognised the importance of these sharks and protected them in several parts of the country, and even featured whale sharks on its new denomination banknotes alongside turtles and manta rays. No touching, no obstruction. Stay 4m away from the whale shark and do not approach from the front. 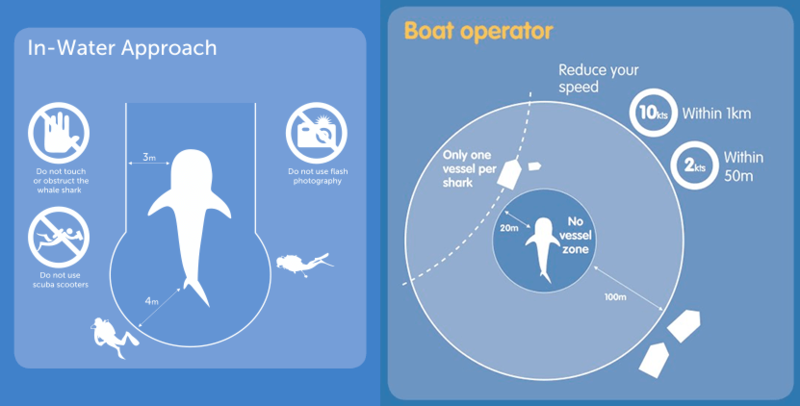 Boats should keep at least 20m away from the shark. Do they provide a briefing beforehand? Do they adhere to a code of conduct? Is there any scientific research that they contribute towards? Asking these simple questions will help a guest decide which company is the most responsible and help to change the way operators behave. It’s in the companies’ best interest to conduct themselves accordingly and keep any disturbance to a minimum.